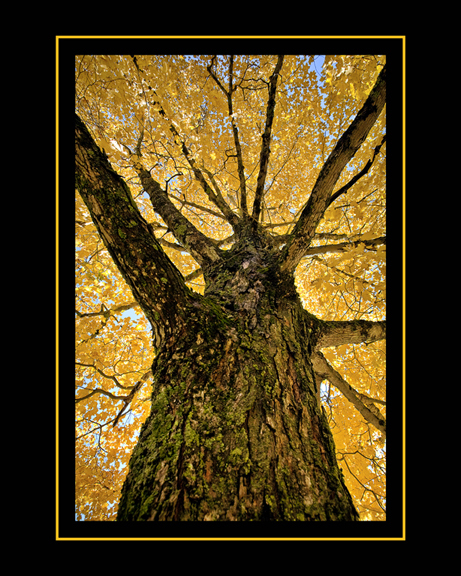 Maine Professional Photographer William Brehm of Riverside Studio Photography, claimed top honors for his competition printed titled “Autumn Sentinel” at the recently concluded Rhode Island Professional Photographers Convention and Print Competition. The “Autumn Sentinel Image” was distinguished by receiving the “Court of Honor Award and a Blue Ribbon Award of Merit” for out of state photographers competeing in Rhode Island. Ava all we can say is what a natural you are. We knew you would catch the eye of a few casting directors and now it’s been only two weeks since you sent out the professional comp cards we created for you and already two top modeling agency’s are showing major interest in you. 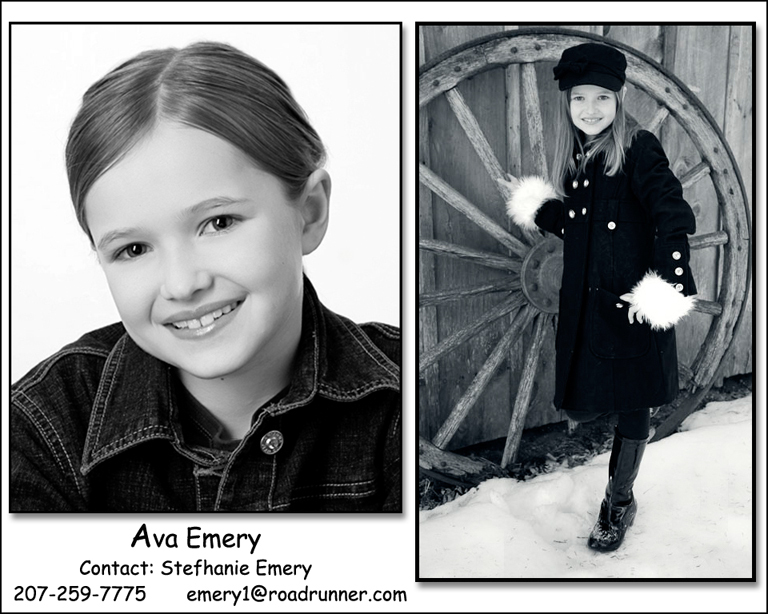 Good luck to you on your auditions Ava, and we know, by how easy and enjoyable it was working with you, that you are on your way to success. The best of luck to you Ava and God Bless! PS: Your portfolio is going to knock them dead! 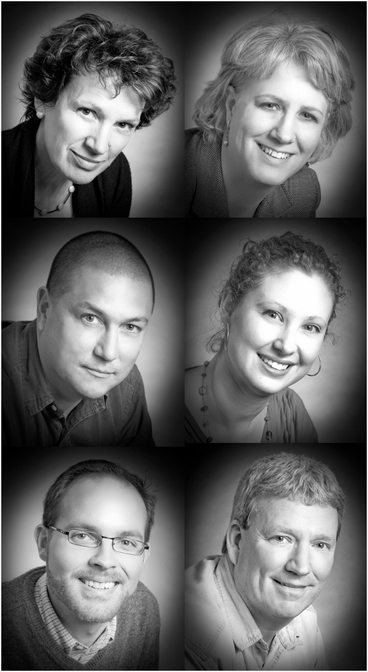 William & Honora Brehm – Riverside Studio Photography. The Award Winning Image of “The Bass Harbor Lighthouse at Dusk” was chosen from a group of images submitted by various photographers in Downeast Maine. 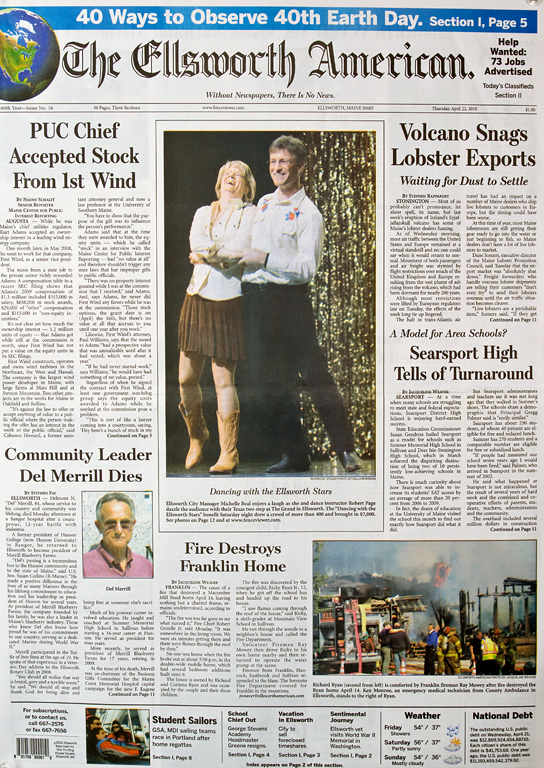 The ER Nursing Staff and Upper Level Management at Maine Coast Memorial Hospital were called upon to judge the images. 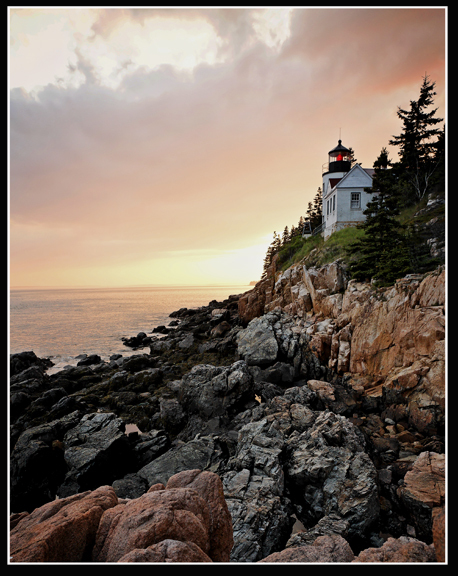 The selected Bass Harbor Lighthouse image was used in the creation of a stunning 15×15 foot mural that will grace the wall behind the reception desk and next to the waiting room area of the new ER facility at MCMH. Photographer, William Brehm. 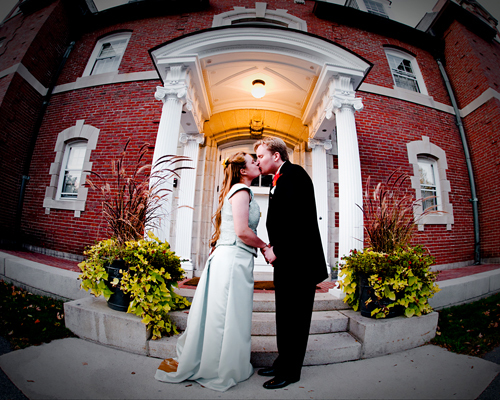 It received the highest score of all images submitted in the 2008 Maine Professional Photographer’s Print Competition and was awarded the coveted “Fuji Masterpiece Award” at the MPPA convention awards banquet in 2008. We feel privileged to have had the opportunity to contribute to the creation of the new ER space at MCMH and to have the opportunity to work with one of the nation’s leading mural designers. 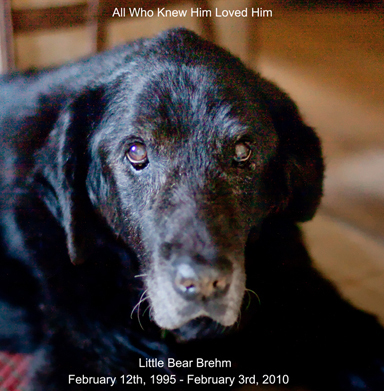 The image will also have an accompanying plaque dedicating the image to the memory of William & Honora Brehm’s faithful canine companion “Little Bear” who crossed the Rainbow Bridge on February 10th, 2010 just 10 days short of his fifteenth birthday. 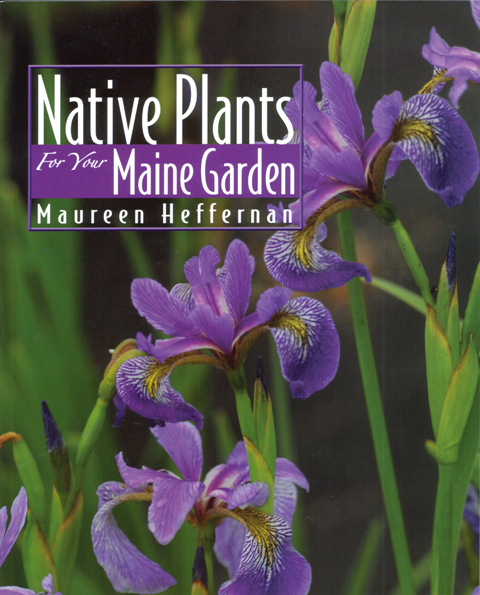 Native Plants For Your Garden by Coastal Maine Botanical Gardens Exeutive Director Maureen Heffernan features several photos by William Brehm. 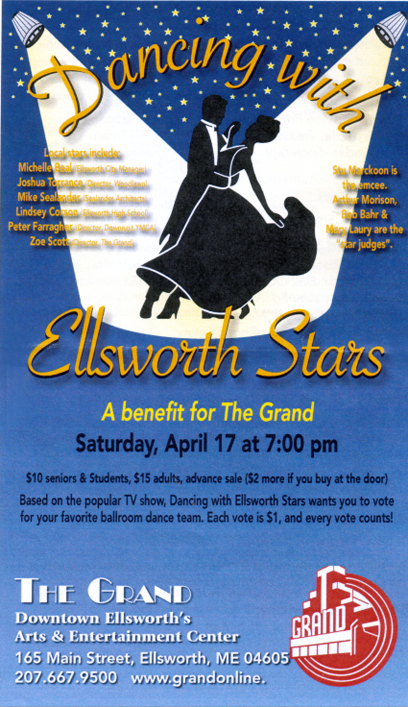 The book is published by Downeast Books and Magazine. 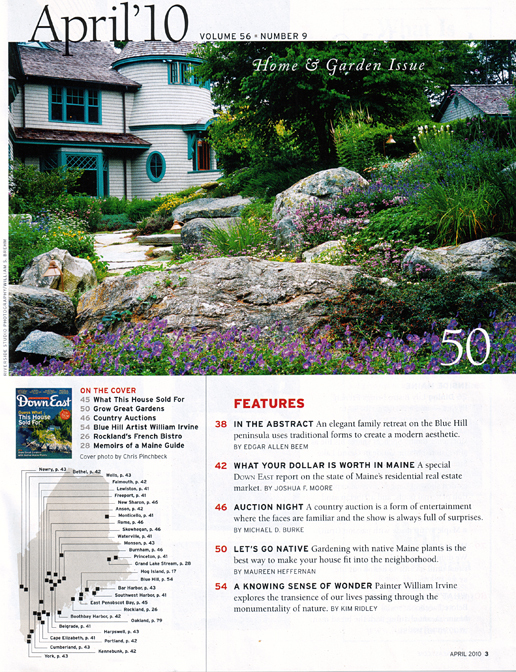 Riverside Studio client and friend Bruce John Riddell designed the layout for the Coastal Maine Botanical Gardens. With spring just around the corner, watch this newsletter for more great images of Award Winning gardens designed by Bruce. On October 10th Jamie and Tom tied the knot at The Seacoast Mission Mansion in Bar Harbor Maine. This is a great venue for a casual but classic style wedding in a really beautiful location. Visit the mission website at http://www.seacoastmission.org/ if you are planning an event or would like to make a contribution to help support their ongoing work of providing medical and other vital services for the the residents of the coastal islands of Maine. 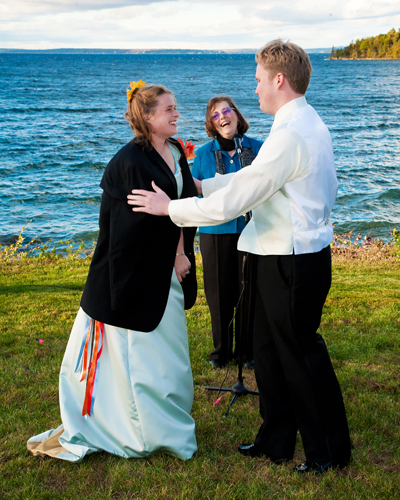 It was a very cool and blustery day for early October in Maine and the happy couple and their families and guests had a great time despite 50 MPH gales off the bay with temperatures in the low 40’s. 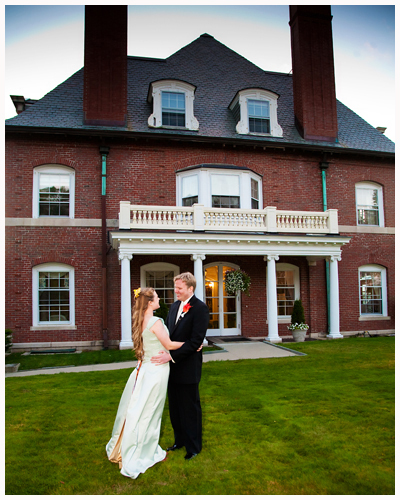 The marriage ceremony was performed by Robin Wade of Acadia Weddings. As usual Robin did a great job. 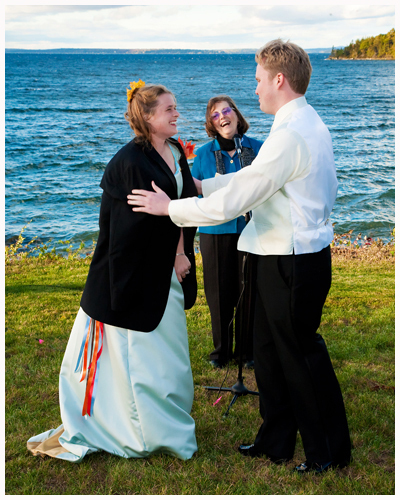 Anyone looking for a thoroughly professional and caring officiant for a wedding service in the Bar Harbor – Acadia National Park area of Maine should visit her website: www.acadiamassage.com/weddings/index.html. 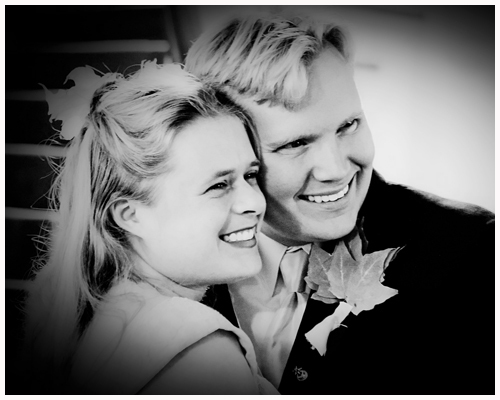 We have worked with Robin on many occasions and she does such a wonderful job and offers a variety of wedding services . The fact that she enjoys her work of uniting couples in love really shows. Jamie & Tom were as happy as two peas in a pod. The day was picture perfect with a georgeous sunset to usher in a lobster bake dinner under the big top tent. 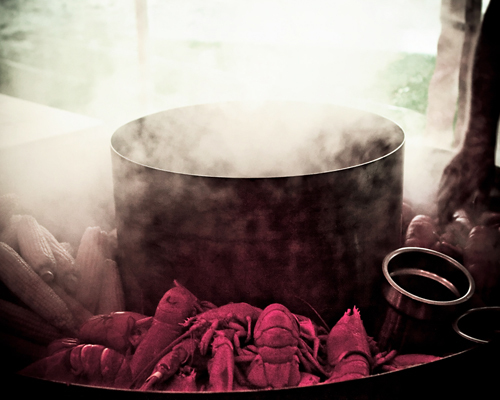 Speaking of lobster bake dinners, what a feast was rolled out by Bar Harbor Lobster Bakes. 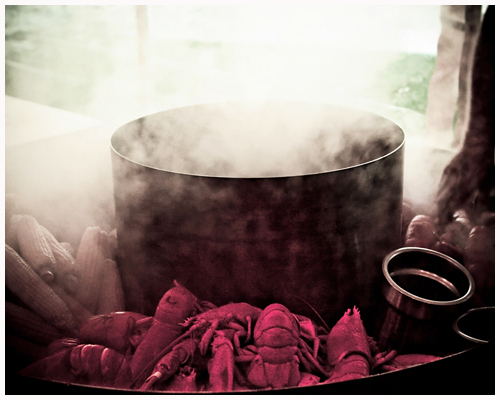 If you are in the market for a catered professional Lobster Bake visit their website www.barharborlobsterbakes.com. Ask for Steve Cough and he’ll have you on your way to Lobster Heaven in no time at all. By the time evening rolled around it was bottoms up and a grand time for all. 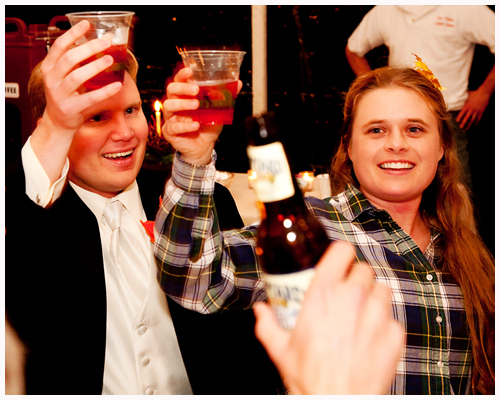 It was truly a pleasure to work with the Jamie & Tom and we wish them the best of luck in the future. 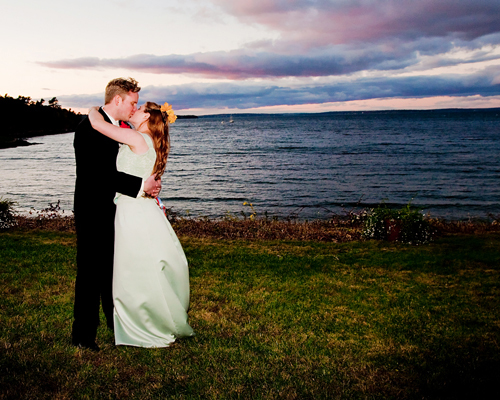 Jamie & Tom’s Wedding was photographed by Maine Wedding Photographer William Brehm.